Munich - Few players have enjoyed more success and a quicker rise to the top of the game than Borussia Mönchengladbach striker in recent years. On 6 May 2012, the final day of the 2011/12 season, Kruse celebrated scoring his 13th goal of the campaign in a 5-0 win for FC St Pauli over SC Paderborn 07, as die Kiezkicker finished sixth in the table. Just a few days later, he agreed a transfer to SC Freiburg, returning to the Bundesliga, where he had begun his career with Werder Bremen. 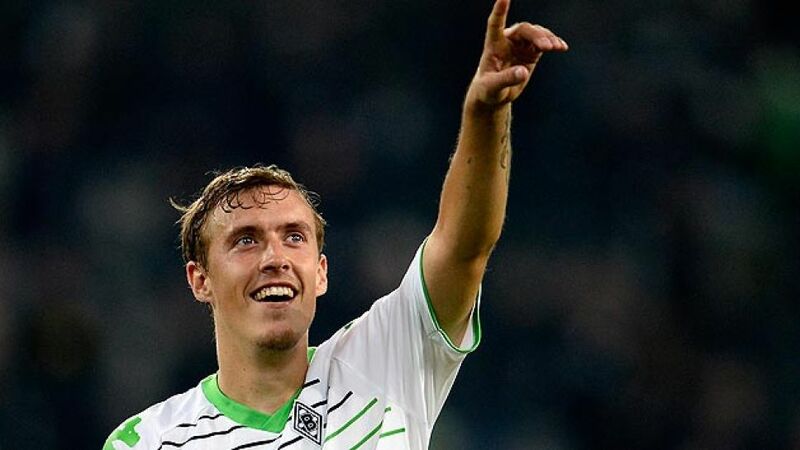 “In Max Kruse we have acquired a goalscoring midfielder with top-flight experience,” said Freiburg’s sporting director at the time, Dirk Dufner. Little did he know just how good an acquisition it would turn out to be. Kruse is no longer an attacking midfielder but a striker in his own right. After playing either as part of a two-man strike-force or behind a lone frontman at Freiburg, the left-footer is now the undisputed leader of the Mönchengladbach attack, operating just ahead of Brazilian midfield schemer Raffael. His development in moving further up the pitch has been remarkable, and with eight goals in the first half of this season, his maturity into a centre forward has been remarkable. Kruse's previous "top-flight experience", as Dufner put it, is somewhat misleading. He was on the Bremen books between 2005 and 2009, but made just one Bundesliga appearance, a substitute cameo in an 8-1 win over DSC Arminia Bielefeld in September 2007. With that in mind, his seamless adaptation to the Bundesliga in Freiburg (he chalked up eight assists alongside his goal haul to spearhead a successful push for UEFA Europa League qualification) is even more impressive. In the current campaign, Kruse's performances for the Foals have moved to another level. Together with Raffael, he is playing some of the most dynamic attacking football the Borussia faithful have seen in years, and not dissimilar to that which marked out former Gladbach star Marco Reus in his final year at the club in 2011/12. Yet for Reinbek-born Kruse, just being involved with the squad is reason enough to appreciate how he far he has come since his final game for St Pauli. You can see Kruse's cool finish against Borussia Dortmund on Matchday 25 here, courtesy of the Bundesliga's official YouTube channel.